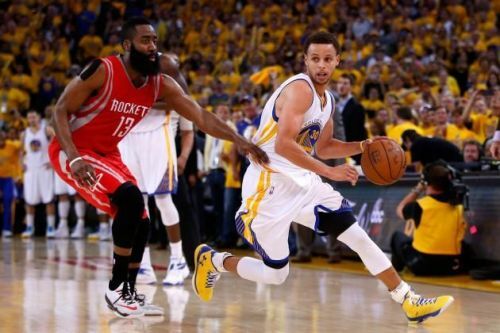 In a Western Conference match between last year's Western Conference finalists, the Houston Rockets beat the Golden State Warriors 135-134 in overtime, thanks to a magical shot from James Harden. The Warriors were dominating from the beginning of the match, leading until the final minutes of the 4th quarter. And then the match went into overtime, where Houston came out on top in a nerve-racking finish. This match was one of the best of the season so far and showed another possible Western Conference finals preview. Both the teams played great basketball and competed well with each other, but in the end it was Houston that prevailed. With this result the Rockets are 4th in the West with a record of 22-15, while the Warriors have dropped to 3rd with a record of 25-14. 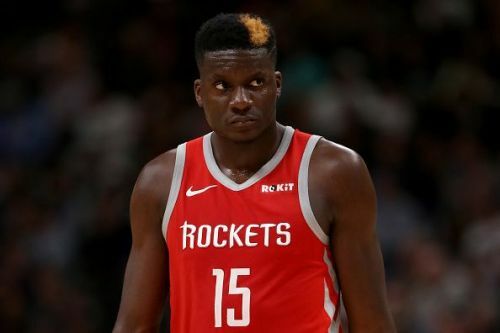 The Houston Rockets needed Clint Capela to step up in the absence of Chris Paul, and he did exactly that. He has been a very good and reliable second guy for the Rockets, and is a big reason for their recent run. In this game, Capela was as dominant as ever. He absolutely dominated Green and Jerebko in the paint, and averaged 29 points with 21 rebounds on 12-19 shooting. He was a massive force inside the paint and made sure that he never let the Warriors run away with the game. He displayed some dominant rebounding, and his ability to create second chance points for the Rockets was impressive. Throughout the season Capela has been averaging 17.3 points on 12.7 rebs per game. Doing all that with an insane shooting percentage of 63.6% makes him truly invaluable to the team.